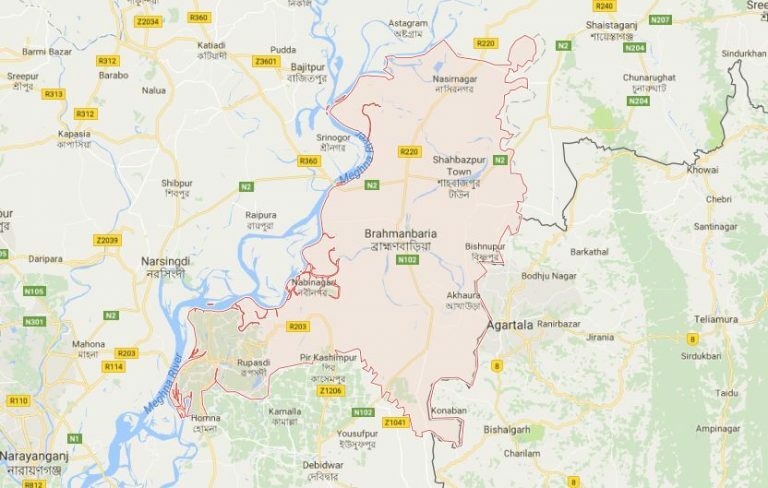 A man was killed and five others were injured in a clash between two groups of villagers over a piece of land at Laxmipur village in Nabinagar upazila of Brahmanbria early Saturday, UNB reports. The deceased was identified as Dulal Miah, son of Mansur Miah of the village. Police quoting local people said Basu Miah's family had been at loggerheads with Muslim Miah over a piece of land. As a sequel to the enmity, Basu Miah's supports swooped on Dulal Miah and five others on their way to the disputed land early Saturday and hacked Dulal with a sharp weapon, leaving him dead on the spot and five others injured. The injured were sent to Nabinagar Health Complex while the body to Sadar Hospital for autopsy. Additional police were deployed there to avert further trouble, said Aslam Shikder, Officer-in-Charge of Nabinagar Police Station.